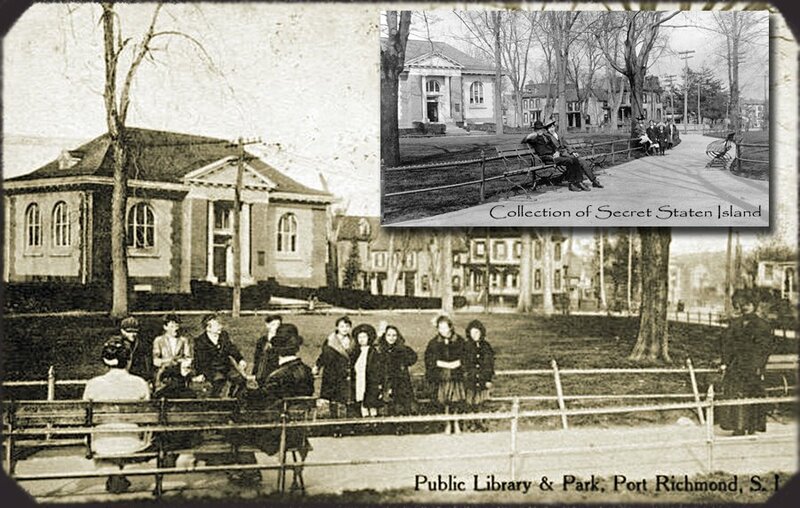 Port Richmond Park, circa 1920, with the Library and Victorian houses in the background. It is Staten Island’s oldest park, being laid out in 1836 when Port Richmond’s streets were mapped and served as the Village Commons. The Library was built in 1905, a gift of steel tycoon Andrew Carnegie. In 1949 the beautiful grounds were renamed to…Veterans Park.